TORONTO -- Hydro One says an executive from a British Columbia electrical utility will become the new president and CEO of Ontario's partially privatized utility. Mark Poweska, who currently serves as BC Hydro's executive vice president of operations, will start work at Hydro One in early May. Premier Doug Ford campaigned on a promise to fire Schmidt, whom he dubbed the "Six Million Dollar man" because of the CEO's salary. Poweska has worked at BC Hydro for over 25 years and currently has responsibility for all aspects of the company's electricity generation, transmission and distribution operations. Tom Woods, the chairman of Hydro One's board of directors, said Thursday he believes Poweska is the right person to run the company. "Mark's proven record in building a strong safety culture, exceeding customer expectations and improving operational performance will help to ensure that Hydro One is strong now and into the future," Woods said in a statement. The company statement also highlights Poweska's experience as an engineer in the electricity industry and his ability to work with stakeholders, including all levels of government. "I am committed to Hydro One being a customer-friendly company delivering safe, affordable and reliable power," Poweska said in the statement. "I look forward to getting to work and to developing a strategic plan to deliver on these goals." In July, Ford made good on his campaign promise to turf Schmidt, announcing his immediate retirement and the resignation of the utility's entire board of directors. "I said over and over and over again on the campaign trail: The CEO of Hydro One and the board will be gone," Ford said at the time. "I'm happy to say today the CEO and the board of Hydro One, they're gone. They're done. They're done. We're going to turn a new corner." Despite Schmidt's departure, the government and Hydro One have continued to clash over executive compensation levels at the company in recent months. In February, the province issued a directive to Hydro One, ordering it to pay its CEO no more than $1.5 million per year -- substantially less than the partially privatized utility had proposed. Energy Minister Greg Rickford asked Hydro One to come up with a revised executive compensation framework that set its CEO's salary and incentives no higher than $1.5 million, but the utility didn't budge. 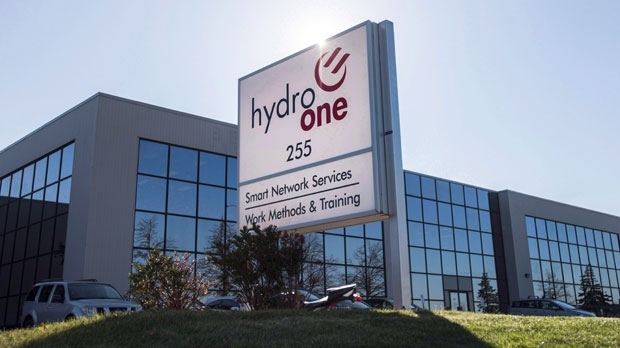 Rickford then took the step of issuing a formal directive that compelled Hydro One to set the CEO's base salary no higher than $500,000 with a maximum of $1 million in incentives. Those incentives must be dependent on meeting certain targets, including reducing transmission and distribution costs.